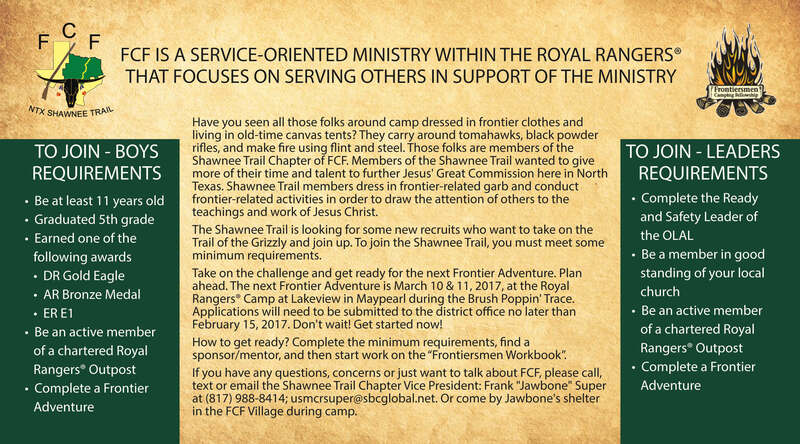 In 2016, as part of the annual Winter Camp, the North Texas Royal Rangers as part of our effort to promote the Frontiersmen Camping Fellowship (FCF) during their 50th anniversary, we distributed an FCF promo postcard to every camper that describes what FCF is and how to join. 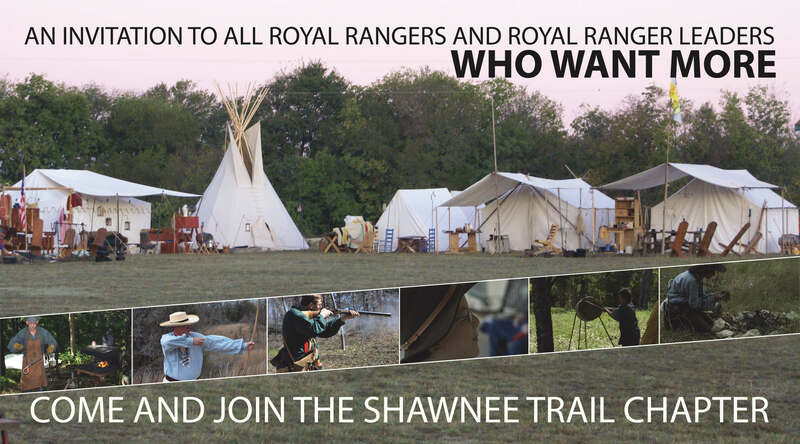 On the front of the postcard, in the background I used a photograph from a FCF camp showing multiple shelters. In the foreground, I used several photographs, all from FCF events showing activities in FCF.